Unlike the December, Bundesliga players in January 2019 only have played 2 league matches, with the close of this month, who can pick the FIFA 19 Bundesliga Player of the Month and get an SBC POTM card? We will offer the FIFA 19 Bundesliga POTM January predictions with potential nominees and investment tips. According to the 2 Germany Bundesliga league matches in January, there are some outstanding nominated contenders as below with the competition stats. The FIFA 19 Bundesliga POTM official nominees usually are released on the Wednesday near the beginning of each month and the last winner will be announced on the third Friday, therefore, you need to pay attention to the date 6 February 2019 and 15 February 2019. Matches Statistics: 3 goals, 1 Man of the Match, average rating 8.29. Matches Statistics: 2 goals, 1 assist, 1 Man of the Match, average rating 7.99. Matches Statistics: 2 goals, 1 assist, 1 Man of the Match, average rating 7.92. Matches Statistics: 2 goals, 1 assist, average rating 8.18. Matches Statistics: 2 goals, 1 assist, average rating 7.80. Matches Statistics: 3 assists, average rating 7.84. Matches Statistics: 2 clean sheets, 11 saves, 1 Man of the Match, average rating 8.03. Matches Statistics: 2 clean sheets, average rating 7.33. After the official Player of the Month nominees revealed, you can vote for your favorite player in a limited time and expect the Bundesliga January POTM winner and SBC come down on February 15. 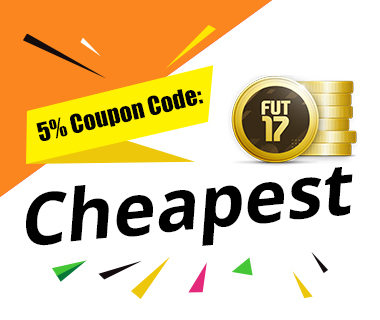 During this period, considering the winner’s clubs, nations, and rating, you have many chances to prepare for the POTM SBC and make the investment to earn or save cheapest ultimate team coins. The cheapest solution for FIFA 19 Ultimate Team SBCs and more updates for FIFA 19 Bundesliga POTM January will be released, stay tuned.